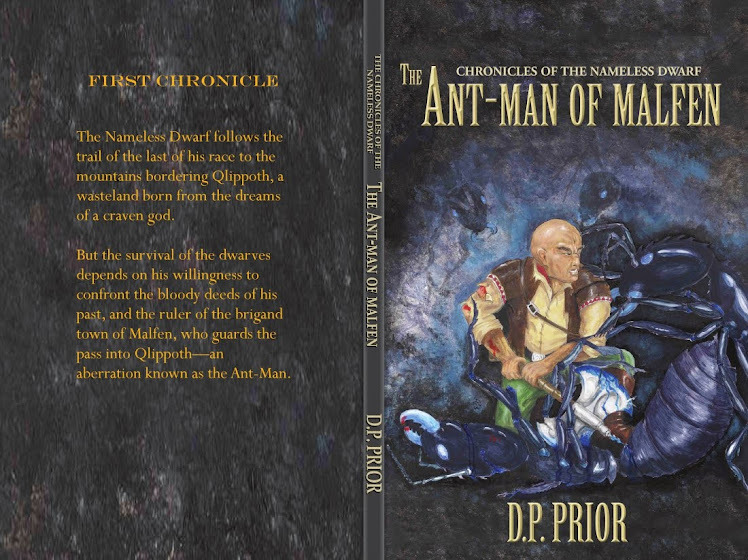 The First Chronicle of the Nameless Dwarf, The Ant-Man of Malfen, is now available in paperback and all eBook formats. 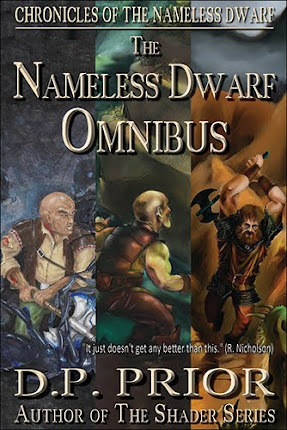 The Chronicles of the Nameless Dwarf are a blend of Sword and Sorcery and contemporary fantasy, combining strange worlds, dark magic, heroic action and an astonishing depth of world building. 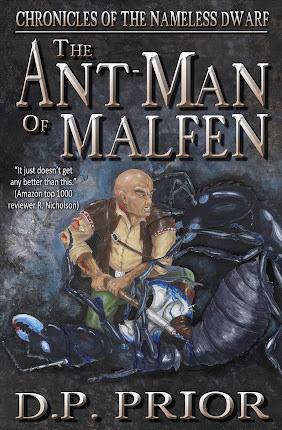 The Ant-Man of Malfen reintroduces the Nameless Dwarf from the acclaimed SHADER series by D.P. Prior. Nameless is a manic-depressive pariah whose past is littered with atrocities. With an almost elemental ferocity and a gift for violence, Nameless alternates between bouts of crippling depression and boisterous episodes of elation, which are usually brought on by the prospect of a good fight. 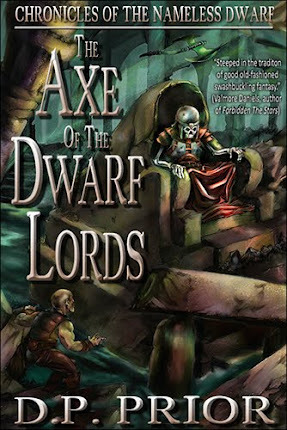 He also has an eye for the women - particularly those under four feet tall. 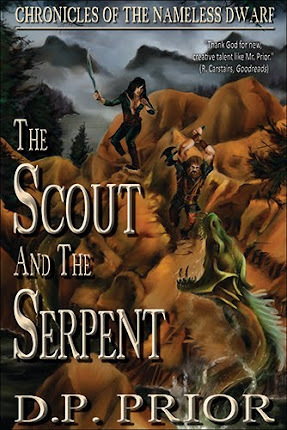 This story also introduces Silas Thrall, a student of the mantic arts with a dark secret that consumes more each day; and Nils Fargin, son of the most feared guildmaster in New Jerusalem.